San Clemente is a popular destination for those looking for premier Senior Community or Retirement Homes ( communities with a resort-like active lifestyle to those age 55 and above). There is an abundance of activities for retirees in San Clemente, apart from having the most beautiful beaches near by and an exceptional weather, there are several beautiful retirement communities with something for everyone in San Clemente,California. Examples are: 'The Gallery' in Talega, Baycliff Village in San Clemente North area and Colony Cove, that has walking distance to Capo Beach - on the north west border of San Clemente. Search all San Clemente Senior 55+ Community Homes currently available for sale, listed in the MLS including short sales and foreclosures. For more information about any of the homes, call us at (949) 888-6788 or contact us via email. Read more about the San Clemente Retirement Homes in Senior Neighborhoods. This classic beach cottage has a front row view of the Shorecliffs golf course. This single level cottage is located in the beautifully kept Bay Cliff Village 55 and over community. Close to beach, shopping and freeway access. This homes needs some TLC. You can transform this cosmetic fixer into your dream home. This one won't last long at this price. The senior community or retirement neighborhoods in San Clemente have something to offer for everyone. The Gallery: the Gallery is a gated neighborhood, that offers single and two level homes ( condos and single family residences) that enjoy the Gallery Club at Talega. Amenities include Fitness Instructors, Recreational Assistants and On-site Management. Enjoy the swimming pool, jacuzzi, ballroom, library, card room, billiard room, outdoor cooking area and numerous hide away patios with fountains.There's a modern fitness center with locker rooms with indoor and outdoor showers. If this is not enough, there's an outdoor activity area were we have perfectly manicured Croquet Course, Bocce Ball Course and an immaculate 9-hole putting green. Although The Gallery Clubhouse is exclusive to The Gallery Residents and is strictly age sensitive, residents enjoy the other Talega facilities. 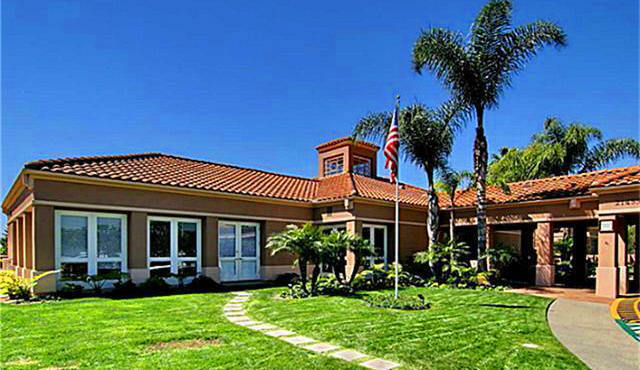 OCExecutives specializes in real estate transactions of San Clemente Senior Community Homes. Contact us today to sell real estate or buy real estate in the different San Clemente Senior Communities or for more information about any of these Active Lifestyle (55+) homes. If you would like to see a list of homes in other communities in Orange County, follow the links above, or click here for other Orange County Real Estate or San Clemente Real Estate options.